The most complete training programme to become a contemporary Dining Room Professional in just 2 months. Master the waiting products and techniques, and acquire knowledge in psychology, equipment management, customer experience, dining room technology, communication and sales tools. An intensive programme, with a Master Class by leading dining room professionals and expert teachers in the study programme subjects, learning visits and a tutored final project. 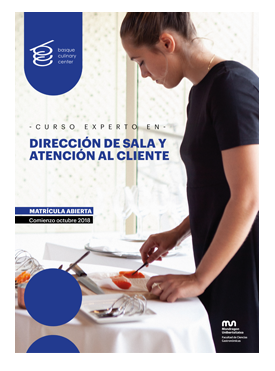 • Graduates in the management of restaurant or catering services or other related disciplines. • Dining room professionals such as waiters, maître d’s or head waiters and restaurant managers, who want to evolve professionally. • Teaching professionals who want to be up to date with the latest trends in the area of​the dining room and customer service. It will be an asset if the student has at least two years’ previous experience working in the dining room and restaurant service. • Acquire advanced knowledge about the operation of the dining room, waiting techniques and waiting in different types of restaurants, and about different types of service. • Develop skills in internal and external customer psychology, as well as verbal and non-verbal communication techniques aimed at increasing the sales of the establishment and the management of teams. • Learn about the main tools for designing services and designing experiences to achieve objectives: service quality and customer satisfaction and loyalty. • Acquire advanced knowledge about beers, coffees, cocktails, cheeses and the cutting of ham, and wine and pairings with different products, in order to be able to advise and meet the needs of customers. • Learn about the main technological tools that are used in modern dining room services, as well as good practices in the use of social media. • Acquire management skills aimed at optimising processes, customer satisfaction and increasing the profitability of the point of sale. TIMETABLE: Mondays nd 6 tuesdays from 9:15h to 18:30h. ENROLMENT: Registration opened until all places are filled. At the Basque Culinary Centre we are committed to a learning methodology based on learning by doing, through which you will be able to put into practice the concepts learned during the course. • Theoretical presentation of topics planned for the session. • Analysis of and reflection on each theme, and practical exercises for application to the dining room and waiting. • Recaps and sharing of non-classroom-based learning activities in the project. • Learning visits to learn about good practices. • Sessions on wine tasting and pairings, brewing of beers, the making of the perfect coffee, cocktails, etc. Master Class by leading professionals in the sector and from other disciplines related to the study programme. Real and inspiring experiences. Learning visit: Visit to a winery to increase knowledge about this product. Final project: throughout the course, work will be carried out on the creation of a dining room manual for an establishment, which will incorporate the knowledge acquired. The project will be supervised by experts. Extracurricular work experience: the student will be able to complete the training combining the course with extracurricular work experience for the duration of the course between April and June. Teachers from the dining room area of the Basque Culinary Center. Labour security, food safety and sustainability. 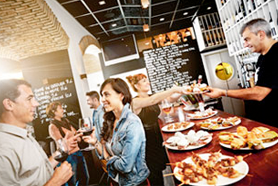 Product experts: winemakers, sommeliers, bartenders, etc. 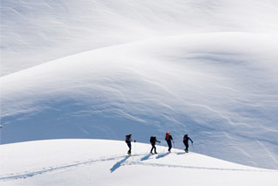 Experts in emotional intelligence, psychology, team management and leadership. Customer Experience Managers, and interior, tableware and sensory experience designers. Master Class by guests who are leading professionals in the sector: Maîtres d’s and sommeliers of recognised prestige and experts in other disciplines. Team of tutors for final project. • €150 at the time of applying for a place (refundable in full in the case of not being admitted). • 40% of the total, that is €940 as a reservation fee payable at the time of confirmation of admission. • The remainder of the fees, €1,410 two weeks prior to the start of the programme. The students’ information office of the faculty will provide the necessary information and will assist students with their search for accommodation and shared flats. The Basque Culinary Centre has a system of admissions that aims to ensure that our students have the academic level and personal competences required to complete the study plan successfully. • The completed application form. • Documentation to be attached to the application. • Registration fee (fully refundable in refundable in full in the case of not being admitted). This fee is 150 euros. The period for application will remain open until all places have been allocated. The maximum number of students to be admitted is 20. Applicants will be notified of the outcome of their application within a period of one month. New residence opened in the academic year 2017/2018. Located just a step away from the Basque Culinary Center and with excellent downtown connections, the residence has 73 well-equipped studios designed for those who desire luxury student living. All rooms feature the latest trends in interior design and technology and include double beds, flat screen TVs, modern furniture, in-room kitchenettes, private bathrooms, and outward facing views. The facilities are also equipped with a fitness center, meeting and study rooms, a large shared kitchen space for culinary practices, as well as a community living area where residents can socialize and relax. These types of residence are small and have restricted entrance times. The rooms can be single or double and they do not always have an ensuite bathroom. Those that offer full board may not offer all the meals at weekends. Admission to these residences entails a personal interview with the families. The prices given below are approximate. Las residentes tienen que desalojar la residencia durante los fines de semana salvo en época de exámenes. No se ofrecen comidas durante el fin de semana aunque hay una cocina a disposición de las residentes. No hay cocinas disponibles para las residentes pero las estudiantes de BCC podrán realizar prácticas de cocina. El precio del alojamiento y pensión se costea trabajando en el servicio de alimentación. Admisión mediante entrevista. These are mixed and are larger than the religious residences. As a general rule, they do not have entrance times. El precio incluye la limpieza del uniforme de cocina. No hay cocinas disponibles para los residentes aunque los estudiantes de BCC podrán hacer prácticas de cocina en un espacio debidamente equipado para ello. Residencia de la Universidad de País Vasco; alojan prioritariamente a los estudiantes de la UPV pero pueden tener plazas disponibles desde la reciente ampliación. Prior authorisation from interested parties, the BCC Students'Office favours contact among admitted students so that they can organise themselves to share flats. Traditionally, students have created groups in social media to contact each other. The BCC also informs students about rented flat offers that the owners send us. The average price per student in a shared flat in Donostia-San Sebastian is around €300 per month. Este visado habilita para residir, residir y trabajar, estudiar o investigar en España. Todos los extranjeros que deseen entrar en España para residir, residir y trabajar o estudiar necesitan contar con un visado de este tipo, a menos que se trate de ciudadanos de la Unión Europea, Islandia, Liechtenstein, Noruega o Suiza. La solicitud de visado de larga duración debe presentarse mediante un impreso de solicitud debidamente cumplimentado (original y copia), que puede descargarse gratuitamente de este enlace “Impreso de solicitud” puede ser obtenido también gratuitamente en las Misiones Diplomáticas u Oficinas Consulares de España en el extranjero. Más información sobre el proceso de petición del visado. La solicitud del NIE (Número de identidad de extranjero) tiene como objetivo otorgar un número de identidad de extranjeros a los efectos de identificación necesario para poder residir en España. Este nº permitirá al alumnado poder ser dado de alta en la Instituto Nacional de la Seguridad Social a la hora de realizar prácticas académicas o trabajar. Más información sobre el proceso solicitud de estos documentos. Through the MU Sports Service, students can access team sports as well as individual sporting activities and Group trips (weekend skiing, surfing trips….). 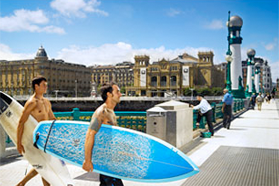 Donostia-San Sebastian also has an extensive offer of municipal sporting facilities. 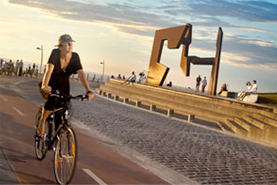 The Kirol Txartela (sport card) permits access to all the city’s municipal facilities at a very economical price. For more information, go to the following link. La mejor manera de desplazarse por la ciudad es mediante su red de autobuses urbanos. Las empresas que prestan este servicio son la Compañía del Tranvía de Donostia-San Sebastián y LurraldeBus. En www.dbus.es y www.lurraldebus.eus/es ofrecen información completa sobre rutas, horarios y tarifas. La web también ofrece la posibilidad de calcular la ruta en autobús entre dos puntos y la duración estimada del trayecto. Donostia-San Sebastian is the administrative capital of Gipuzkoa, one of the territories that integrates the Basque Country. There are two official languages: Spanish and Basque. On the banks of the Bay of Biscay,, Donostia-San Sebastián is a small town within a natural framework of incomparable beauty. A holiday destination for monarchs and nobles during the Belle Epoque, Donostia-San Sebastian arose as a lordly city where tradition and modernity exist side by side. If there is something that can compete with its spectacular beauty that is its gastronomy: cradle of the “new Basque cuisine”, Mecca of culinary avant-garde and the world capital of the pintxo, Donostia-San Sebastian is the city with the most Michelin stars per square metres in the world. The importance of its restaurants, its famous gastronomic societies and the quality of its raw material convert Donostia-San Sebastian into a gastronomic reference in the world. 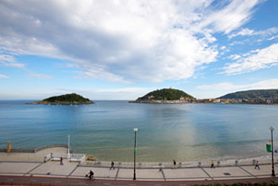 Not in vain, the British magazine, “Which”, chose Donostia-San Sebastian as the best gastronomic destination in the world. Over the last few years, innovation and sustainability have been the two main pillars for the development of Donostia-San Sebastian, which has fostered an ideal city of pedestrians and bicycles. 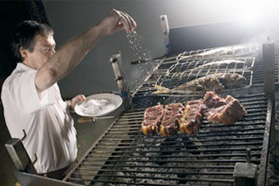 WHY STUDY GASTRONOMY IN DONOSTIA-SAN SEBASTIAN? Because in Donostia-San Sebastian, as in the rest of the Basque Country, gastronomy forms part of society and good food is present at any event and celebration. 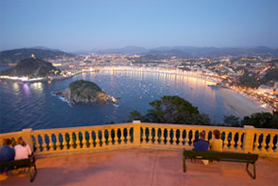 Donostia-San Sebastian, a city of 185,000 inhabitants, has 120 gastronomic societies. Because four of the eight restaurants with three Michelin stars in Spain are in the Basque Country, three of them in Donostia-San Sebastian. 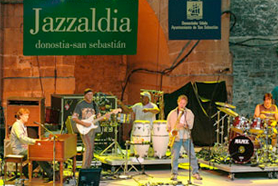 Because of its cultural offer, which includes internationally renowned film and jazz festivals. 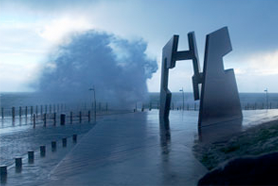 Donostia-San Sebastian has been named as European Capital of Culture for 2016. 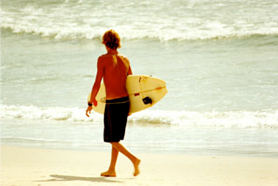 Due to its beaches, ideal for practicing surf all year round. Due to its mountains, just 2.5 hours from the Pyrenees. Because it is a safe, accessible and welcoming city. Donostia-San Sebastian is connected to the main Spanish cities by bus, train and plane. 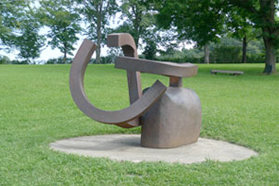 The airport of Donostia-San Sebastian is 20 kilometres from the city. It is a small airport with direct flights from Madrid and Barcelona. It has a bus service to the city centre. The international airport of Bilbao is one hour from Donostia-San Sebastian, and it is connected to the city with a frequent bus service from the actual airport. The international airport of Biarritz is 45 minutes away although it only offers a direct bus to Donostia-San Sebastian once a day. 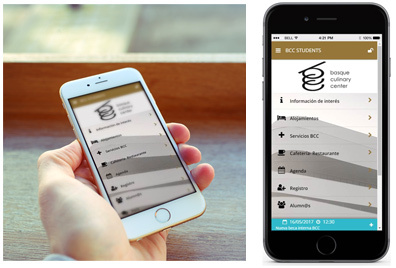 During their study years, BCC students will have access to the BCC Student APP. Through this APP students will be informed about grants and scholarships, job opportunities, extracurricular learning opportunities, events, invitations to exclusive Master Classes... They will also be informed on student discounts, BCC Cafeteria or Restaurant reservations, transportation, etc. 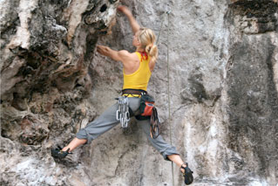 de Mondays from 9:15h to 18:30h and 6 tuesdays at same schedule.